The trilogy-- in movies it's a common occurrence with hugely successful blockbusters whether it's Star Wars, Indiana Jones, Toy Story, or Back to the Future. Trilogies are also pretty common in gaming as well, but at the same token, an actual good trilogy is a completely different matter. This new article series details some of the very best trilogies that our hobby and industry have been able to create in its much shorter lifespan. 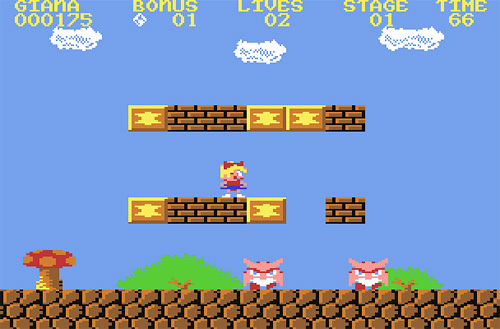 This first edition delves into pure platformers, one of gaming's oldest genres. 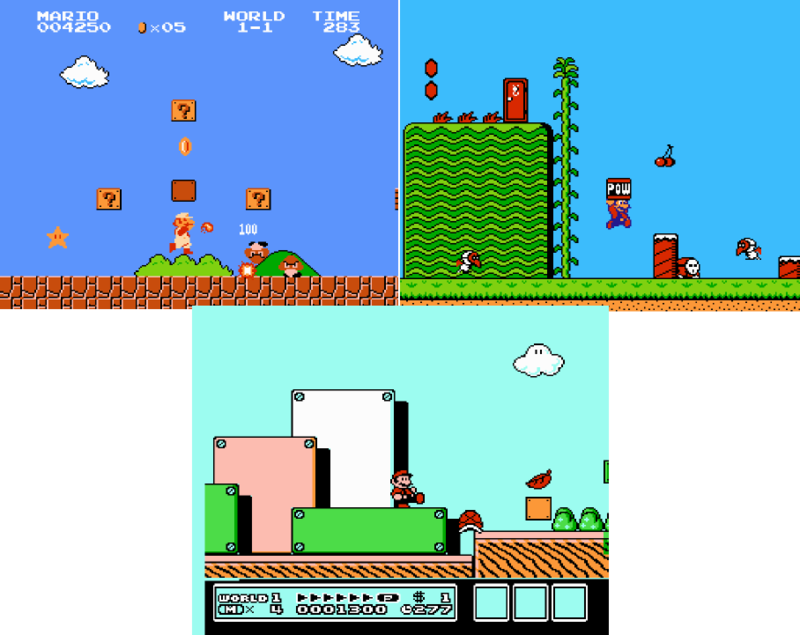 We start off this list of terrific trilogies with one of the most prolific trilogies in gaming, perfect for the series's 30th anniversary this year, Super Mario Bros. Now, whether you prefer the Doki Doki Panic with Mario clothing Super Mario Bros. 2 or what in the West we know as The Lost Levels, this trilogy is of magnificent quality. We all know how Super Mario Bros. is a testament to brilliant game design, and we received something akin to an official ROM hack (perhaps not the best choice of words here, but work with me) with The Lost Levels, offering poisonous Mushrooms and warp pipes that sent players back multiple words that throw the once sacred rules of the original SMB right out the window. 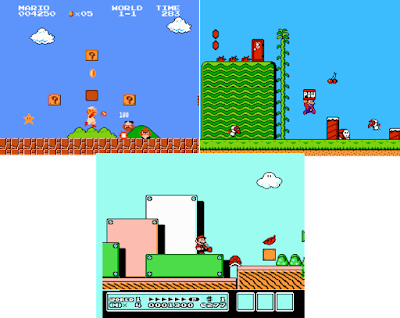 Then you have one of the greatest 2D platformers of all time with Super Mario Bros. 3, which delivered themed worlds, auto-scrolling levels, multiple unique yet brief levels, and new power-ups into the fray like the Super Leaf. the Tanooki Suit, Hammer Suit, Frog Suit, and fan favorite Kuribo's Shoe. We move from a slower video game icon to a much faster one, one that definitely ruffled Nintendo's proverbial feathers with its marketing campaign. 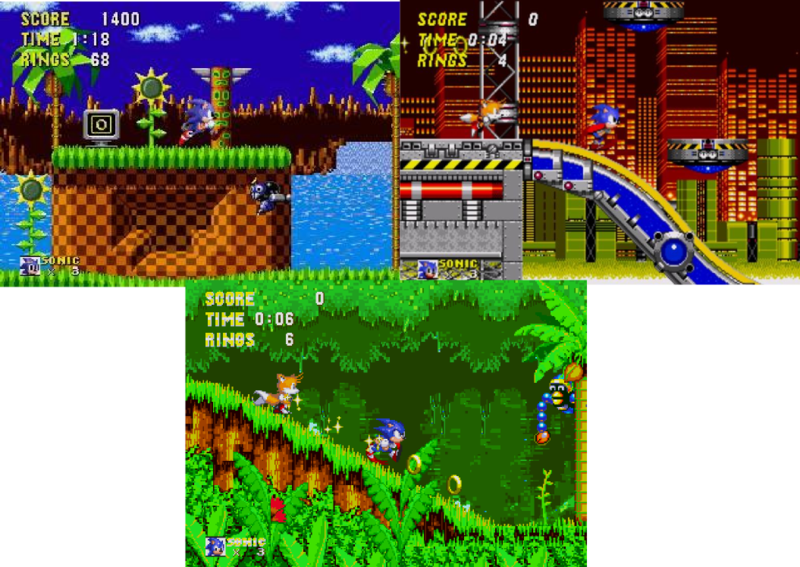 Sure, blast processing was a made-up buzz term, but there is no denying that Sonic the Hedgehog is a trilogy that brought with it blazing fast speeds, multi-path levels, cool boss fights against then-referred-to-as Dr. Robotnik, and beautiful stages. The original Sonic wasn't so much about speed in half of its levels (speaking about Marble Zone, Labyrinth Zone, and the final zone, Scrap Brain Zone). It was a well rounded title with equal parts pure speed and equal parts precision based platforming. 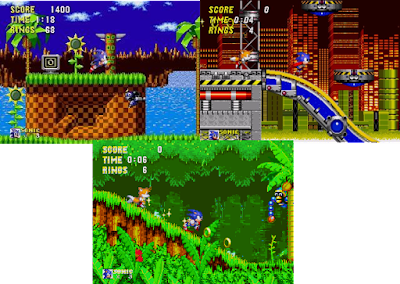 Sonic 2 introduced a partner for Sonic, Miles "Tails" Prower, introducing cooperative play to the series. 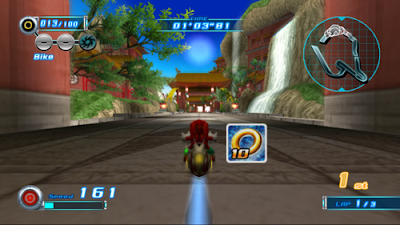 The game also nearly doubled the amount of zones for one lengthy adventure. Finally, Sonic the Hedgehog 3, my personal favorite, gave the world Knuckles the Echidna, one of the series's best soundtracks, fun special stages levels, and eventually would be the gateway to playing Sonic 3 and Knuckles with a special cartridge attachment a la Sonic & Knuckles. Even without that, Sonic the Hedgehog 3 on its own is a masterful 2D platformer that brilliantly brought speed and careful platforming to the forefront of Sonic's game career. Another rival to Mario's platforming crown who also didn't mind slinging dirt and throwing shade towards the plump plumber in his marketing campaign, Crash Bandicoot was the platforming hero of the original PlayStation. Unlike strictly adhering to a 2D plane, the minds at Naughty Dog gave their bandicoot character levels that had him moving in levels away from the camera. The perspective was over the shoulder and directly behind Crash. 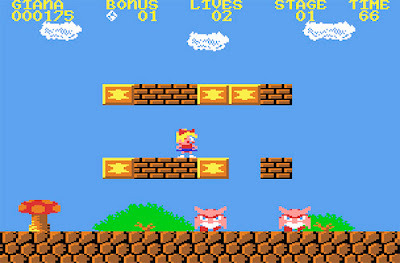 There was also 2D sections more akin to platformers of the time. 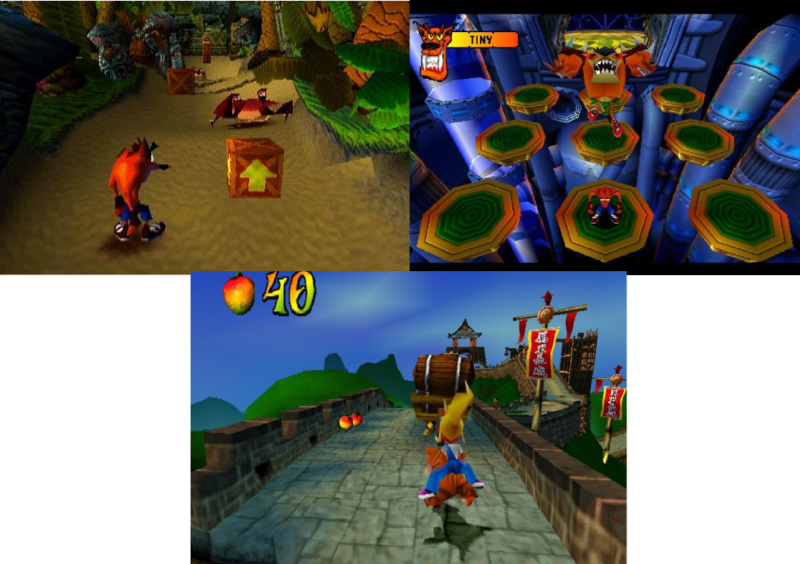 The first Crash Bandicoot game was one of the highest selling games on the PS1, despite having the most issues with it from a gameplay and 100% completion point of view. 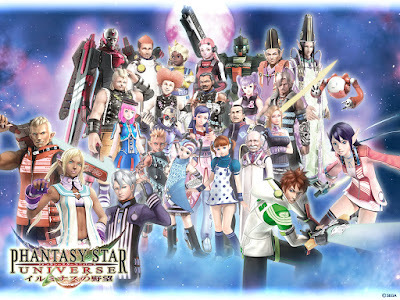 The sequels made it less of a headache to unlock all of the bonus content available within the game, and they were more well designed overall. 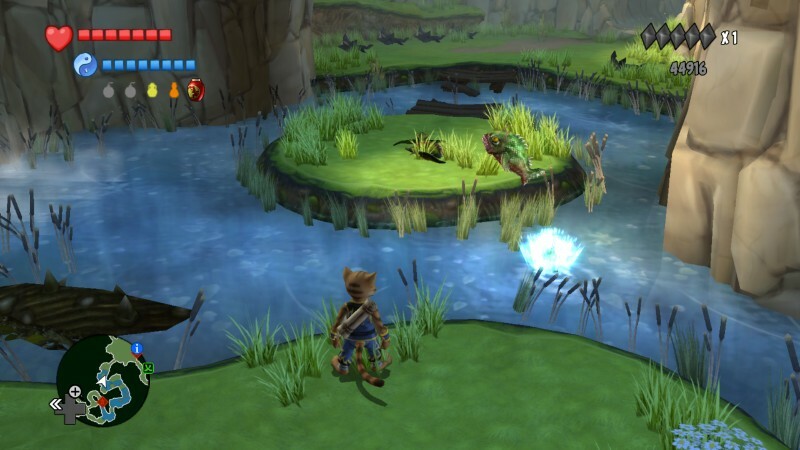 Crash Bandicoot remains in hiatus since multiple attempts to bring it back from its current IP owner, Activision, though big honchos at Sony have expressed interest in reviving the IP for new generations and fans of the old games to enjoy. 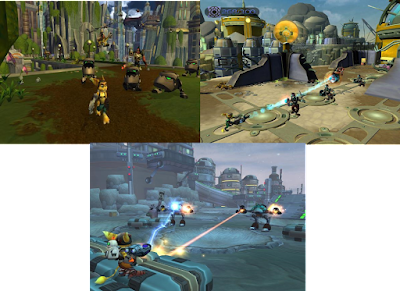 The Ratchet & Clank series is one of my favorites from the PS2 generation of home consoles, much more, it's one of my favorite PlayStation franchises in general. 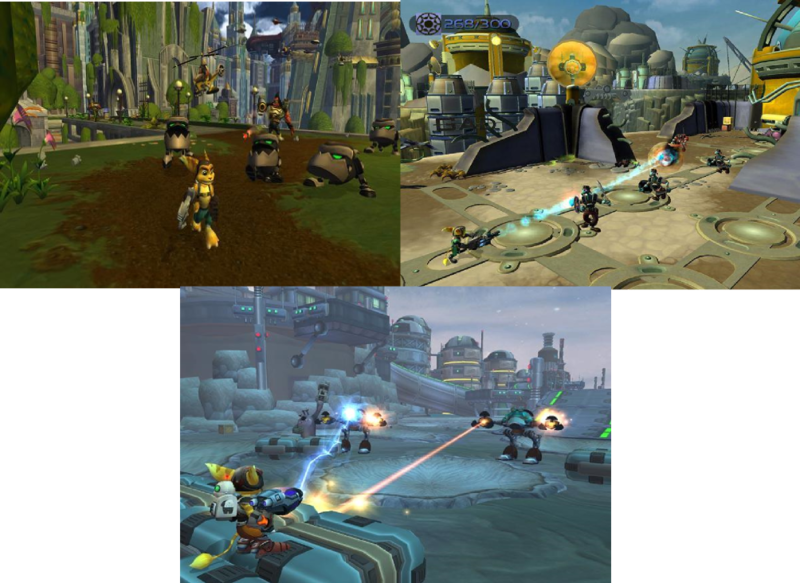 The original Ratchet & Clank is a little hard to go back to if you're familiar with its two sequels due to the fact that the strafing mechanic wasn't included in the series until Going Commando, making it much easier to keep a foe in view while avoiding their attacks with some side somersaults simultaneously. Going Commando, my favorite of the series, introduced the ability to level up weapons, adding to their power and functionality in the process. Up Your Arsenal brought with it the capability of leveling up weapons multiple times, throwing in even more replay value than the series already had with it. It also brought players the masterful Dr. Nefarious, who is a villain that outshines plenty others in the series. 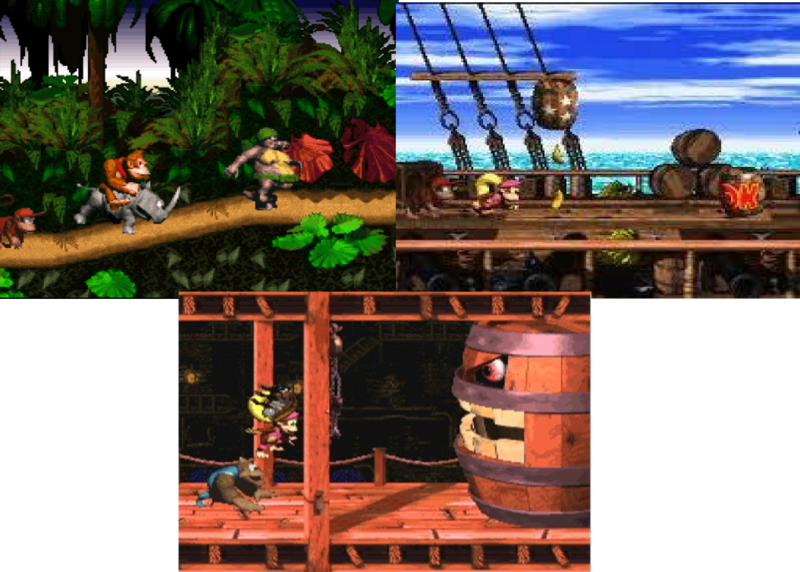 Rare's Donkey Kong Country trilogy on the Super Nintendo is a fantastic trip through 3D rendered sprites and backgrounds. The highlight here is Donkey Kong Country 2: Diddy's Kong Quest, which brought with it two excellent characters to play as, Diddy and his girlfriend Dixie Kong, a wide array of amazing levels full of secret goodies, bonus stages, and well hidden DK Coins to collect, and the series's best ambient and atmospheric soundtrack yet. 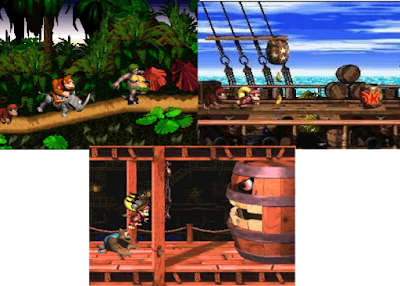 The other Donkey Kong Country games are no slouches either, mind you, with the original DKC creating the familiar formula of the franchise, though it's a bit dated in comparison to the latter two titles. 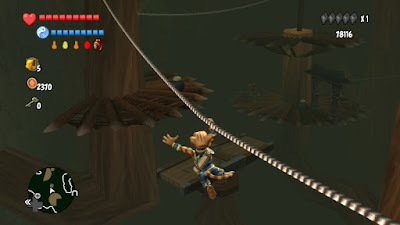 Meanwhile, while Donkey Kong Country 3 didn't offer an astounding soundtrack like the first and second games, it did offer the best overworld in the series with plenty of secrets tucked away, levels with inspiring one-off gimmicks to them, such as Ripsaw Rage, where Dixie and Kiddy Kong must outrun an ascending saw through a vertical scrolling stage among the innards of trees. Despite a good portion of the series not being up to par, I generally prefer the Mega Man X sub-series of Mega Man games to the Classic ones. The Mega Man X series had much more intense action, a greater difficulty, more to do in most of its games for some sizable side content, and a more appealing art style to me personally. Mega Man X hit the Super Nintendo with 16-bit graphics, animal-themed Robot Masters known as Mavericks, a more serious story, the ability to upgrade X with armor parts via Dr. Light's hidden capsules, and secret items called Heart Tanks that boosted X's energy. 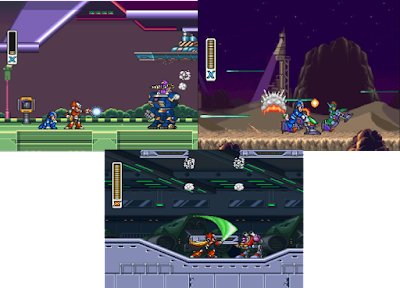 Mega Man X2 added more to the series with a much loved and resourceful midair dash upgrade, obtainable Zero parts, each guarded by one of a trio of X-Hunters, that affected the ending of the game, and Mega Man X3 would introduce huge unlockable armor for X to move around in, one of four special armor upgrades where only one could be equipped, and the ability to play as Zero, albeit in a much limited way. 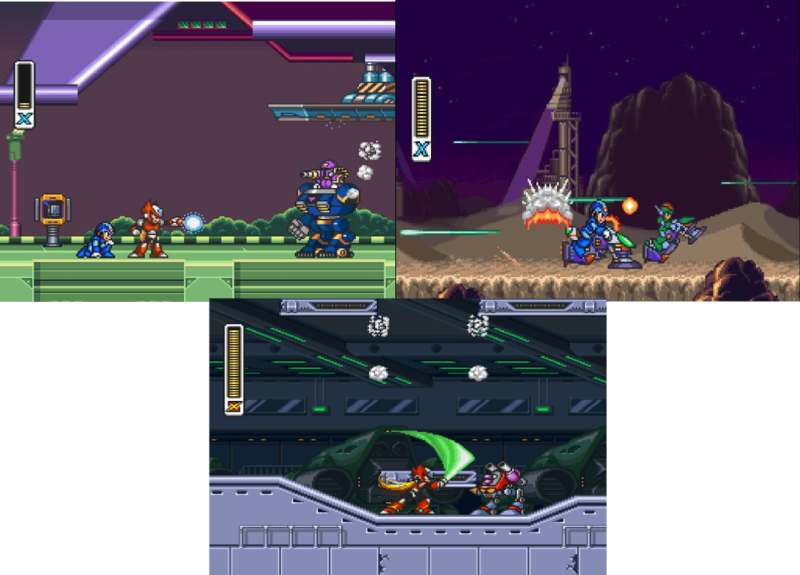 While X3 is what I consider the weakest of the SNES trilogy, all of the Mega Man X games on the Super Nintendo deliver action-packed gameplay, masterfully designed levels, and amazing art, spritework, and music. What trilogies of gaming history do you believe are the best of their kind? Let the SPC community know by posting your thoughts in our comment section! A new seven minute Super Mario Maker trailer has been published to Nintendo's YouTube account, and here it is in all of its magnificent glory. Super Mario Maker is one of my most anticipated games for the rest of the year, and this trailer does a good job presenting a case as to why. Super Mario Maker releases Friday, September the 11th in most territories. 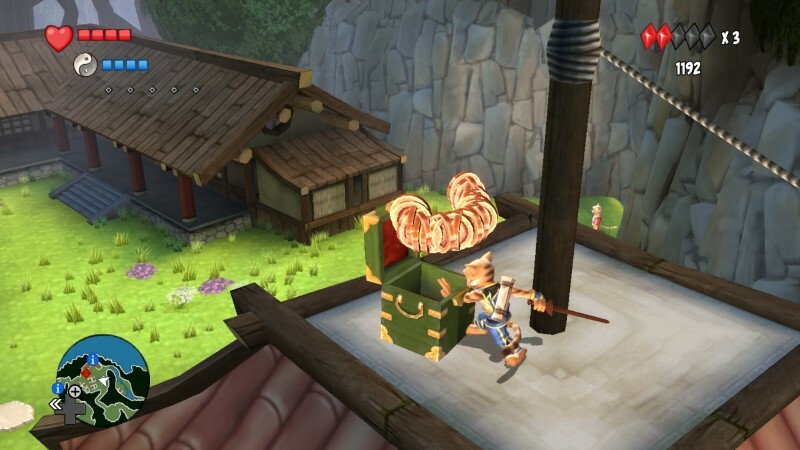 We head towards the middle of August with a new review, Legend of Kay Anniversary. I'd be lying if I said I knew Legend of Kay was an actual game that released not once already but twice. Still, I'm happy to have been able to experience the game with this anniversary edition, as my review will show. 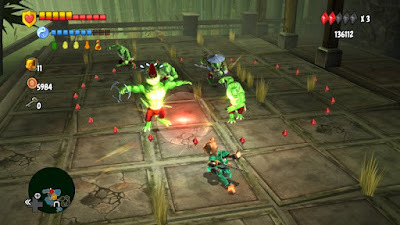 Legend of Kay originally released on the PlayStation 2, published by Capcom. It later saw a re-release on the Nintendo DS. Of course, this writer had to look up those bits of information because when Legend of Kay Anniversary was announced for the Wii U, PlayStation 4, PlayStation 3, and Xbox 360, I had no clue what game it was an actual remaster of. Thus, you can imagine that entering into the game, I had limited expectations of the game. All I knew was that it was of an era when 3D platformers were quite common, a golden age of gaming for me, the PS2 generation of gaming hardware. This made diving into Legend of Kay Anniversary an exciting proposition. Was my excitement rewarded? The adventure begins with you controlling Kay, a martial arts apprentice to an elder cat who greatly enjoys hitting the bottle. Meanwhile, Kay's village is currently occupied by an army of gorillas and rats working together for some kind of nefarious scheme. An excessive amount of unskippable spoken dialogue delivered through amateurish sounding actors doesn't do much to engage players, but it's passable. Well, except for the incredibly grating rat characters, who speak in broken English and have such a high pitch that it's nothing but an annoyance to hear them. A lot of the character dialogue isn't bad; it's just questionable for having a fair amount of curse words in it. While this doesn't offend me, for a game that is otherwise modeled for everyone, it's so bizarre to hear these saccharine looking characters spouting off foul language. The additional cutscenes told through still, non-animated comic book panels can be skipped thankfully, but they're pretty well done unlike so much of the voice work of the game. Also, these aren't anywhere near as long or as prevalent as the seemingly never-ending amount of in-game dialogue exchanges between characters. The start of Legend of Kay Anniversary is slow going-- full of tutorials, exposition, and learning the ins and outs of the game's combat system. When Kay gets out on his own, things get much more interesting. Kay will collect frog eggs from a burning city home to dozens of frogs, enter dank and dangerous dungeons searching for stone cat statues to activate, turn on cat statues to build a bridge to an ancient temple of dragons, and activate cat statues to raise water in a channel for Kay and his friends to travel aboard a boat to reach the penultimate level of the game. the scenery, Kay. There's rats and gorillas to beat up! If you haven't come to the conclusion already, there's a lot of activating cat statues in Legend of Kay Anniversary as part of Kay's various quests. The game would be a lot more interesting if the quest types were more varied in the game. You start to go through the motions, turning on statues, only this time it's in a different area of the game to achieve a different goal. Thankfully, even if you forget that you probably need to activate some cat statues, you can always hit the select button to view what quests are available to complete and how to go about completing them. that has a lot of this type of stuff in it! Between all the puzzles, platforming, and exploration in Legend of Kay Anniversary, combat is a huge component of the game. 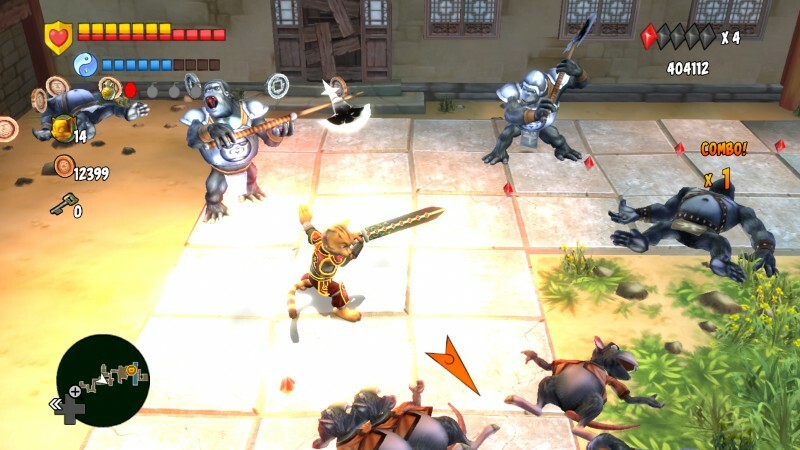 You're usually taking on a sizable number of enemy units at one time. Kay needs to not only use his sword, hammer, or claws to block against attacks, but he also needs to be blocking the same direction of an attack. This is all the while taking moments while the enemies have their guard down to attack them. You can utilize a wide number of moves, such as a roll that moves Kay from the front of a foe to its vulnerable backside, a series of somersaults that make Kay attack like a roaring buzz saw, and a great ground attack for enemies that are lying down on the job. Those who live by the sword will also die by Kay's sword. Combat isn't perfect, however. 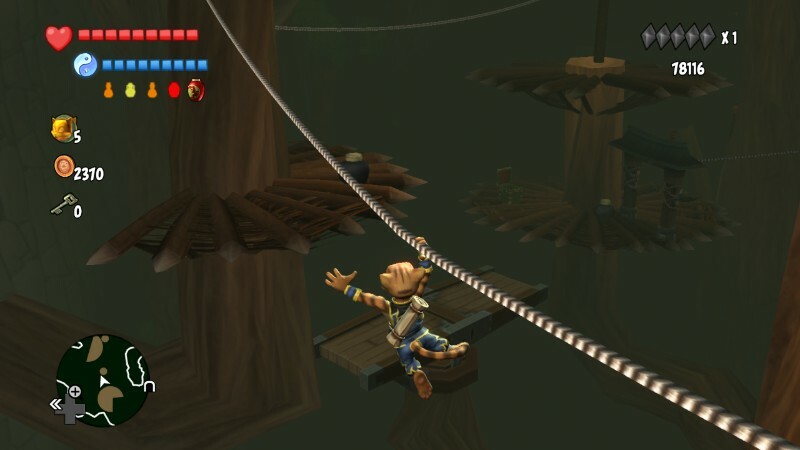 Being a PS2-era platformer in HD clothing, Legend of Kay Anniversary suffers from an issue that plagued many a-PS2 platformer, a poor camera. This is especially troublesome in indoor areas that have a claustrophobic setting to them, particularly noticeable during boss encounters. Additionally, a lack of a lock-on function to enemies makes missing strikes a common occurrence unfortunately. These issues don't ruin the combat, but they certainly don't make for an overly pleasant experience. Didn't I see you guys in Donkey Kong Country? The various weapons that Kay earns throughout his adventure are very helpful throughout the game. For instance, the sword is the overall best of the bunch, not being too weak or too strong. Meanwhile, the hammer is slow, but it can really do damage to armored enemies, which as the game progresses is a much more common sight to see. Finally, the claws are fast attackers, but they do the least amount of overall damage. 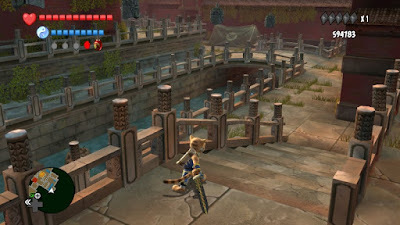 These weapons can be replaced with upgraded versions which are found during Kay's exploring of levels. 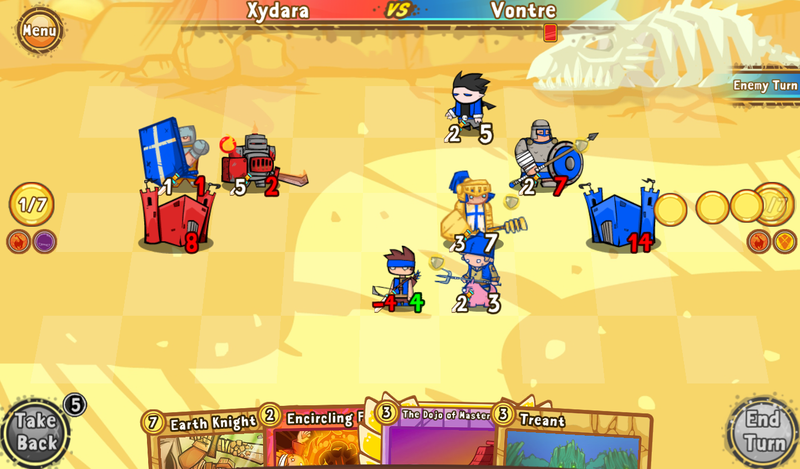 Health and magic can also be upgraded as well with Heart and Magic Containers. 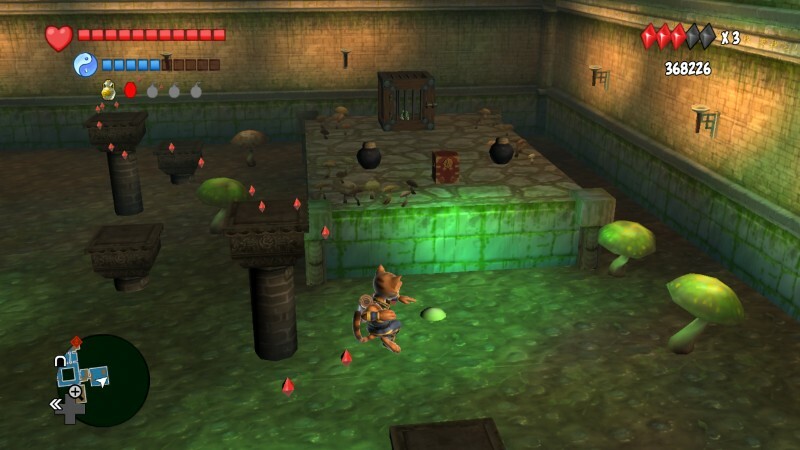 These are found in treasure chests around the world of Legend of Kay Anniversary and are able to be purchased from the game's travelling salesman. Along with these are an assortment of items to assist Kay in his adventure, such as health-restoring potions, potions that temporarily make Kay much stronger in battle, bombs to blast weakened walls, armor that gives Kay more hits to work with, extra lives, and other helpful goodies. Something else that bugged me about Legend of Kay is the linear structure of the game. That is to say that there is no returning to past areas you've previously visited, so if you failed to complete a secondary quest, didn't get a certain new weapon, or whatever else, you are out of luck. It's the same problem that pestered players like myself with Disney Epic Mickey. I would have liked to have a hub that connected the various places and areas of Kay's adventure together so I could return to them if I wanted to. Otherwise when you've reached the final boss on your save data, the only thing you can do is continually face the boss with no means of returning to a past location. That really un-straightens my whiskers, to put it in cat terms. That said, Legend of Kay Anniversary offers many reasons to return to the game after the first time you beat it. 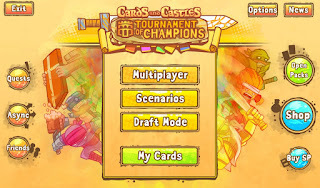 The game offers multiple difficulties, a whole slew of unlockable content in the form of concept art, 3D models, music from Jake "Virt" Kaufman to listen to at any time you like, and much more. 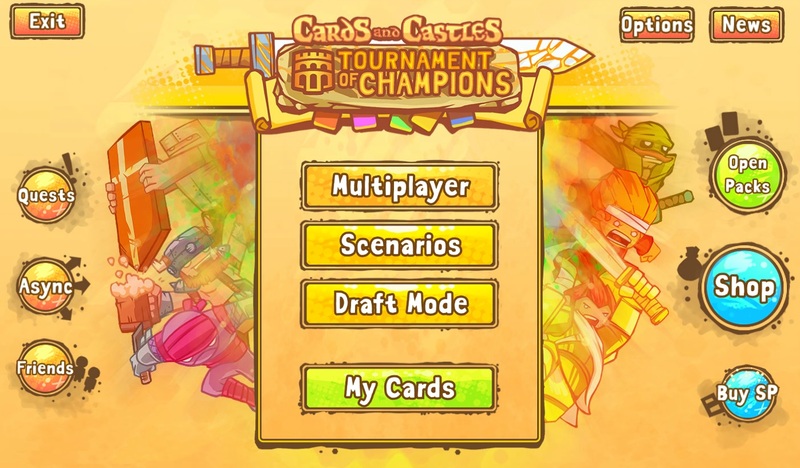 The unlockable goodies are attained by reaching certain point plateaus within the game. The harder the difficulty selected, the more points you earn. Thus, trying the hardest difficulties is pretty much a must if you wish to unlock all the content Legend of Kay Anniversary offers. 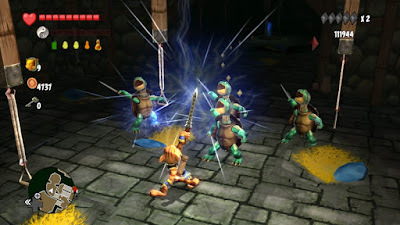 Legend of Kay Anniversary might not have been the first game that came to a lot of gamers' minds when the topic of "what old game would you like to see remastered" popped up, but ten years after its initial release, the game manages to do a lot of things right. On the other hand, it does a lot of things wrong too, such as a lackluster camera, inability to skip most dialogue sequences, a slow start to the game, and it being impossible to return to past areas unless you start a new save file. 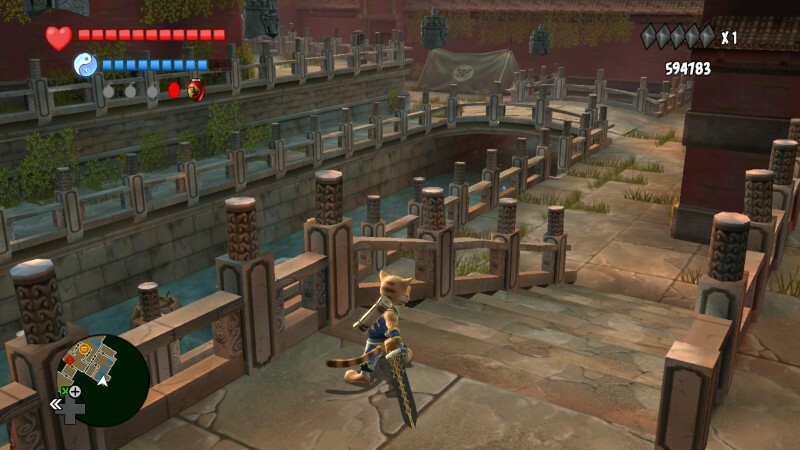 Still, with its updated visuals, fun combat, enjoyable exploration, smart level design (for the most part), and engaging gameplay, Legend of Kay Anniversary might not be legendary like the games it was inspired by, but it is definitely A-O-Kay. I am SO sorry for that incredibly forced, immensely lame pun in this edition's title. It's even worse if you didn't get the pun! However, I won't let it ruin this edition of SuperPhillip Central's Favorite VGMs! No, no! How can an edition of this long running weekly SPC segment be ruined when you have music from Street Fighter III: 3rd Strike, The Great Giana Sisters-- marking a SPC's Favorite VGMs first by having a Commodore 64 game on the list-- and Sonic Riders: Zero Gravity! We then end on a lovely note with jazz goodness from Skullgirls Encore and a beautiful vocal theme from Phantasy Star Universe. Let's get to the music! Let's move away from the hot summer temperatures with a trip to Snowland. 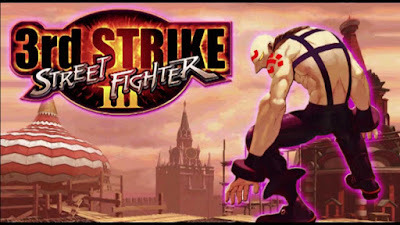 This just so happens to be the home of Street Fighter III combatants Twelve and Necro. 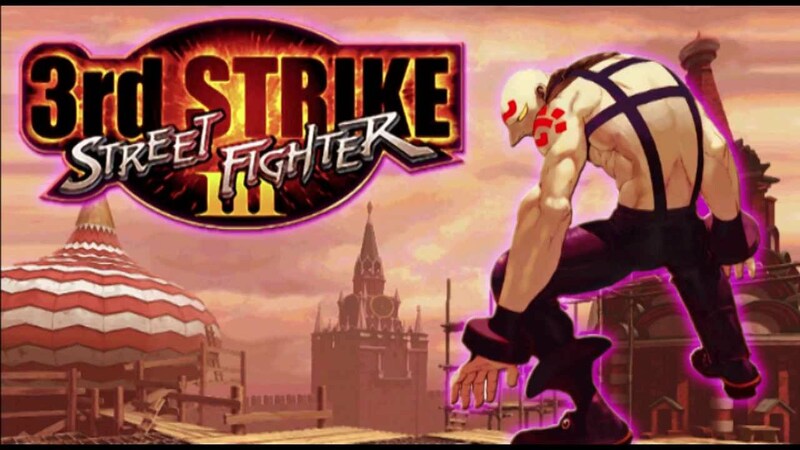 Neither appeared in Street Fighter IV, but perhaps we'll see Capcom revisit the duo with Street Fighter V. There is always hope, after all, dear friends! This is a special VGM volume for SuperPhillip Central's Favorite VGMs, as The Great Giana Sisters is the very first Commodore 64 related song on this ever-expanding list of great video game music tunes. In Giana Sisters: Twisted Dreams, the lone game in the series to not be a blatant Super Mario Bros. clone, features a heavy metal version of this theme as a regular level theme instead of something for a menu. Played during the Gigan Rocks course of Sonic Riders: Zero Gravity, Sealed Ground has a more natural sounding feel to it. It's perfect for climbing huge hills, weaving in and out of boulders and rocks, and soaring past the competition. I hold the unpopular opinion that both Sonic Riders games (we won't mention the Kinect-only Free Riders or whatever it was called) are pretty good racers. They definitely require a lot more skill than what many critics and players were probably expecting. 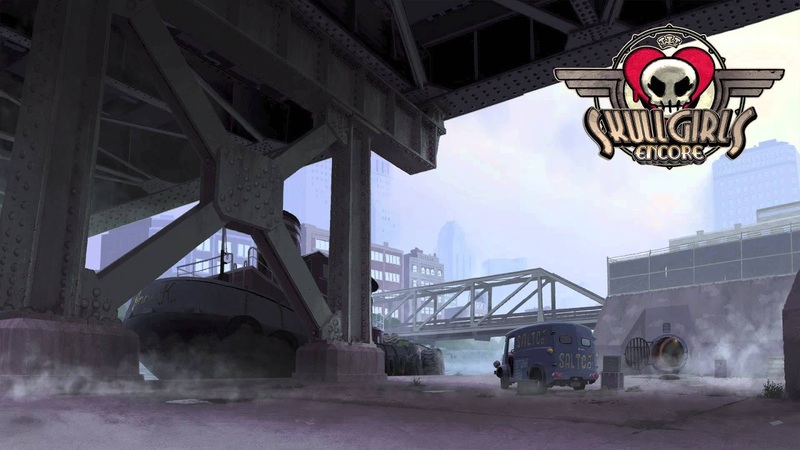 We started this edition of SuperPhillip Central's Favorite VGMs with some jazz music from one fighter, Street Fighter III: 3rd Strike, so we move now to another jazz piece from a different fighter, Skullgirls Encore. The soundtrack, partly done by the woman behind the music for the Wild Arms series, is absolutely stunning with its jazz background. Makes you want to prolong fights just to continue listening to the stage music, doesn't it? We conclude this edition of SuperPhillip Central's Favorite VGMs with a credits theme from the awfully mediocre Phantasy Star Universe. Sure, the game was a slog to play through, but one part of it that was beyond wonderful was the soundtrack, as to be expected by a Sonic Team soundtrack. You can criticize a lot about Sonic Team, but the soundtracks of their games rarely disappoint.